Many people around the world still think and believe that animals are somehow unintelligent and are inferior according to humanity or maybe they have no dreams. We have a huge ego, thinking that we are the only intelligent, thinking species and animals are not like that. Really? 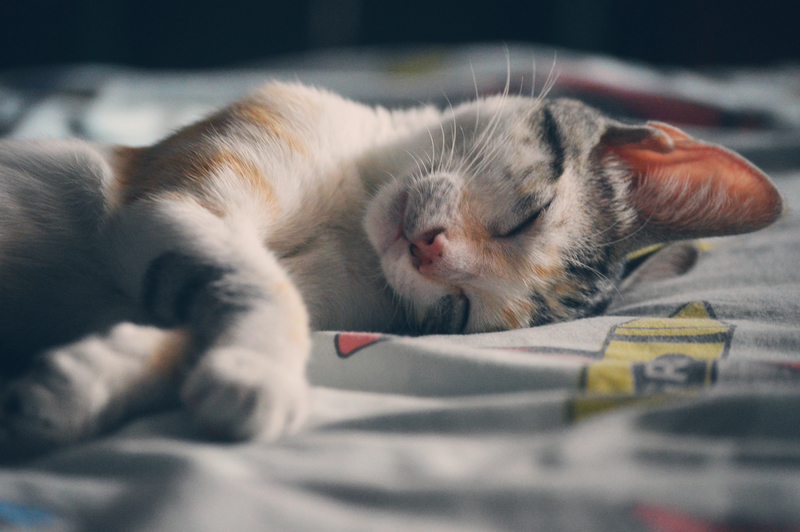 Did you notice even once that animals are acting like the same as we do via sleeping? If you did, then you are open to the fact that we are not the only ones to have dreams. Each of us have btw but the most can’t remember because they are the same in the non-physical world like in their daily life. Unconscious. In my opinion, humanity is still at the infant age (the most are) in their personal development and we just started to pay attention to our animal friends and notice how similar they are according to us. They can’t speak or react as a human being but it doesn’t matter because they use other means. They also have dreams and you can see it from their physical body’s movements or how they are doing it. We all need to sleep to recharge our physical vehicle with life energy. When they are dreaming, they are also on tasks of living up their own daily concepts and memories. You can notice it from their movements. We are all coming from the same non-physical world to experience life from a limited perspective! Yes, even primitive lifeforms too. We need to start somewhere. If you didn’t know, now you know it. We are all doing it. From plants to rocks or any other lifeform. We are constantly learning and developing on a multiversal scale. Animals are NOT so different when dreams are the topic. They have dreams and you can see it from their reactions. They sometimes move, fall into sleep mode, you pull their tongue and they don’t wake up etc. We are noticing these mostly with normal household pets, like dogs, cats and anything around. Because they can’t speak to us and act like a human being, they are still coming from the same place to learn. But if you notice their body and emotional language, you can see it first-hand. They are not so different than us. Sure, many lifeforms even on our planet are much simpler than we are. They can’t walk or think like us. It is just depending on the capability of our biological vehicle. But we are not our body. We chose that form, the body to experience in that limited perspective. It fits our tasks. If you noticed, I merged the animal dreaming topic with their life purpose for a reason. Just for the sake to understand them even better. They don’t have the same life experiences as we do because we are much more complex in our thinking and physical vehicle. They have the same diseases by living with us and I could continue. They are not so different from us. But the thing is in this article, we are coming from the same non-physical world and returning back. They can also return in your dreams and talk to you in human terms if they passed by. We choose a FORM, we are not our biological vehicle. This is the biggest facade to physical life. This may help you understand other lifeforms and their purpose. Maybe you already tried out an animal form in another lifetime. I hope people who are cruel with animals may get their share about how it feels to an animal if an underdeveloped personality hurts “him/her”. If we hurt an animal, it is not so different from hurting ourselves. Previous Previous post: How to learn Lucid Dreaming? Are You really ready? Next Next post: Why my child has nightmares? Is that normal?